1. 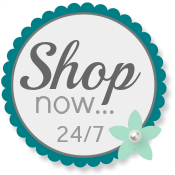 I have been stamping for over 20 years, but only got introduced to Stampin' Up! about 10 years ago. I have been a demonstrator for 2 years. 2. I live in Southern California. I was born in Chicago and moved here in 1975. I don't ever want to live in another state. 3. I have been happily married to a wonderful man for 31 years! We have four grown children, two of whom are married. We have lived in the same home since our first year of marriage. 4. I love to travel, read, garden, bake and cook. 5. I have been working out with a trainer 3x a week for a year. I lost 20 pounds, am much stronger and feel much better. My cholesterol and triglycerides are normal now! 6. I volunteer holding babies in the NICU once a week and I also volunteer for Trauma Intervention Programs, Inc., assisting those in crisis situations. 7. I LOVE chocolate and rarely have a day without it! 8. Some day I'd like to sky dive (tandem). 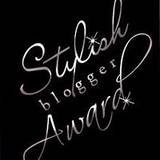 I next need to share 8 blogs that I check in with often and award them with the Stylish Blogger Award! Thanks for checking my blog today! I hope to have more blog candy next week, so keep checking in! Have a great weekend. Congrats on your award, Patti! Fascinating facts! I am with you on the chocolate, but I will have to pass on the skydiving! You are stylish Patti - I need to hire a trainer! Great progess! And how wonderful to be able to comfort those little ones! Patti I loved reading about you and am "amazed" at some of the list. So wonderful to volunteer too. it's such a great self satisfying experience (for any volunteer work)... and SKY DIVING... WOW! I'm off to visit your choices.